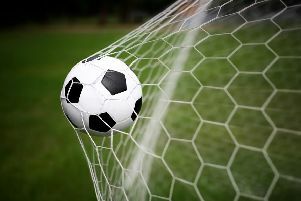 ARUNDEL Football Club fell to a fifth successive loss in all competitions, with a home defeat against Lancing on Tuesday evening. Mullets’ poor recent form has seen them suffer County League Division 1 defeats to Newhaven, Littlehampton, Hailsham and Lancing, while they also lost on penalties to Eastbourne Town in the Sussex RUR Cup. Lewis Finney netted the opening goal after just five minutes when he made a run to the near post and guided home Naim Rouane’s corner. The Mullets should have levelled soon afterwards but Alex Biggs failed to find the target from ten yards out. Max Thoms was then gifted a great opportunity to equalise but he fired wide from close range. Finney struck his second – and 21st goal of the season – on 23 minutes when Rouane again supplied the assist and Finney coolly slotted the ball under James Fernandes. The Mullets nearly pulled a goal back before the break but Barney Boutwood saw his shot cleared off the line by a Lancing defender. Arundel’s Jordan Clark struck a post late on as it finished 2-0 to the visitors.